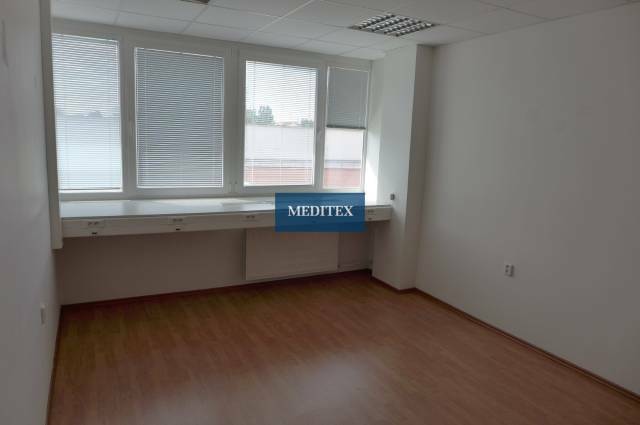 We offer to rent an office in an office building on Záhradnícka street on 2 floors with an area of ​​28.8m2. In case of interest, it is possible to rent another office with an area of ​​29.5m2, which is next to it. Offices are separated by doors and each office has its own entrance, so it can be rented separately. Offices are oriented into a quiet courtyard. The offices will be handed over to the new tenant with a new carpet. In case of interest, it is possible to adjust the space according to your own requirements. The office can be rented for a fixed or indefinite period. Possible to order storage space. Free parking is available in the surrounding area, if you are interested in reserved parking, you can either order it in the closed area of ​​the building or reserve a specific place in front of the building. Your listing no. ZR-455235 seems interesting, please contact me. Send me more information about the offer no ZR-455235.